Rare Essence, Washington’s premier Go‑Go band for more than four decades is a DC institution that has built a devoted fan base that spans multiple generations, drawn to the indigenous funk sired in the mid ‘70s bythe late Godfather of Go-Go, Chuck Brown. Little wonder they were dubbed “The Wickedest Band Alive” by rap pioneer Doug E. Fresh, who has collaborated with Rare Essence, one of many artists to incorporate Go‑Go's percolating percussion, and some of its key players, into their own recordings. Rare Essence first came together in 1976 when a group of elementary students at St. Thomas Moore Catholic School in Southeast Washington gathered after school and started playing the then‑new, as yet unnamed, music (Go-Go’s breakthrough chart topper, Brown’s “Bustin’ Loose,” was still three years away). The band was kept on track by several no-nonsense moms. Drummer Quentin “Footz” Davidson along with guitarist/vocalist Andre “Whiteboy” Johnson, bassist Michael “Funky Ned” Neal and trombonist John “Big Horn” Jones and, calling themselves the Young Dynamos, jammed on Top 40 hits by that era’s funk and soul masters, earning their initial show stripes on the city’s recreation center circuit. Changing its name to Rare Essence, the band expanded its lineup and as teens started playing on a thriving Metro Go-Go circuit that included Maryland and Virginia. They built a huge following, and a reputation as one of the city’s top Go-Go bands, through spirited battles with the likes of Chuck Brown, Trouble Funk, Junk Yard and EU (Experience Unlimited), putting on marathon shows that might run until 5 a.m., stacked sets seamless and unending. 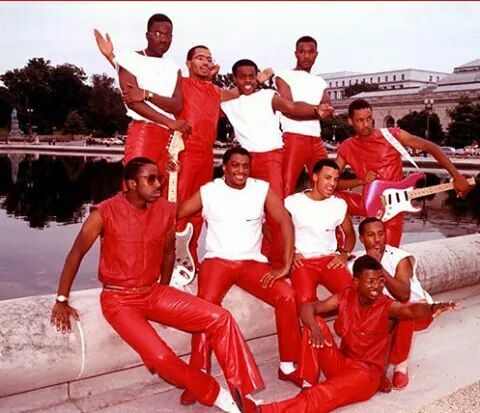 Rare Essence quickly developed into the city’s most powerful Go-Go band, performing six to seven nights a week. The 1987 video “Go Go‑Live at the Capital Centre" captured the first time that venue hosted an all go‑go lineup, with Rare Essence, Chuck Brown, EU and others drawing 14,000 enthusiastic fans to what was then the area’s largest concert and sports arena. Rap stars learned early on the dangers of sharing a bill with Go‑Go acts and their big live band energy. Over the years, many great musicians have been part of Rare Essence, with several going on to form their own bands, including Little Benny and the Masters. A 30th anniversary concert featured close to 30 musicians associated with the band. They have performed with Run DMC, Wale, DJ Kool, LL Cool J, Doug E. Fresh, Biz Markie, Ice Cube, Heavy D and the Boyz, Wu Tang Clan, Redman and Method Man, French Montana, Scarface, TLC, Eric B and Rakim, YoYo, Shabba Ranks, The Roots, Erykah Badu, Thievery Corporation, KRS-1 not to mention Chuck Brown, Trouble Funk, The Junk Yard Band, & EU. While no two shows are alike, music lovers new to the Go-Go experience and Rare Essence sound will quickly feel at ease among an allegiance of loyal fans chanting along to hits like “Lock It,” “One On One,” “Hey Buddy Buddy,” and the ever popular “Overnight Scenario,” which is covered by Fantasia all over the country. Also lovingly known by fans as RE, “The Inner City Groovers”, or Essence (if you are from DC), you can’t help but know who “The Wickedest Band Alive” is and that you gotta be there to experience the party in person! CLICK HERE TO BUY AND CHECK OUT OTHER RARE ESSENCE ALBUMS & MUSIC. DCIST: Weekend Picks: 13 Things To Do In And Around D.C.